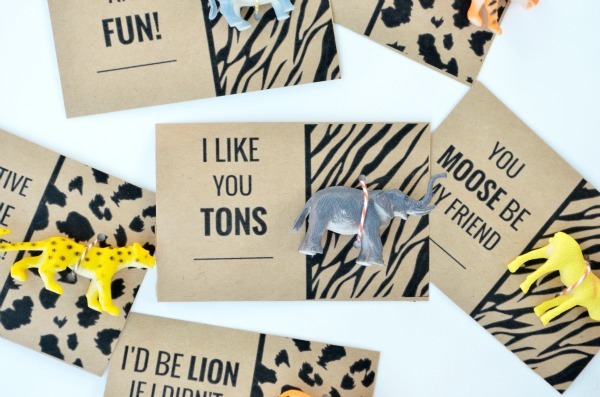 Are you wild about Valentines Day? Well over here my son is quite excited for the day of love. My birthday happens to share the same day so it’s always been a big deal in our family. Even as a kid I loved Valentines Day. I looked forward to picking out cards and making a very special mailbox for our class exchange. There is still that same excitement in schools these days; they even do candy grams. 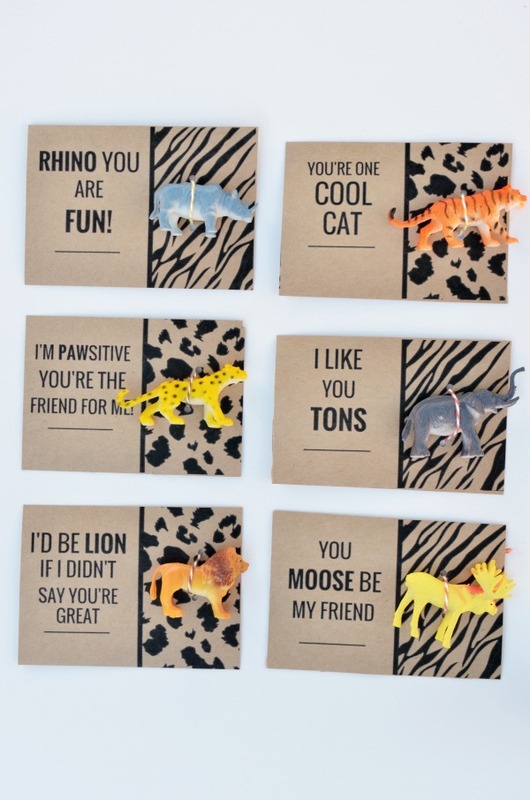 These wild animal Valentine cards are so fun. So it’s no surprise this year I went a little overboard and created 6 different printable Valentines for my son to pick from. I figure we’re set for the next 2-3 years. Nothing like getting a little ahead, right? 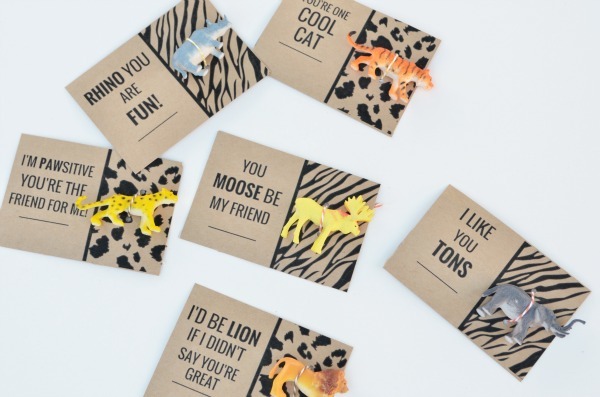 All you need for these wild animal Valentine cards is the printable, animal figurines, and little twine. 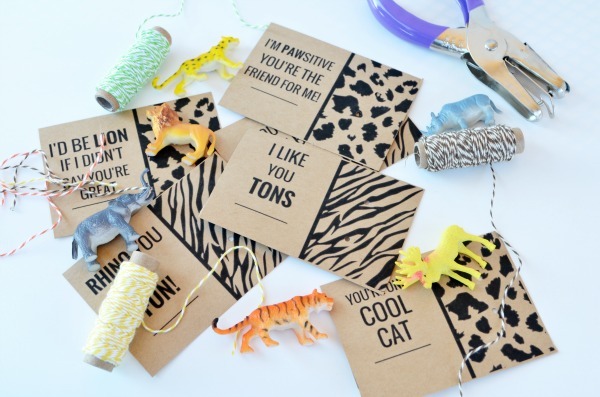 Print out and cut the cards, punch two holes in the animal print side, then tie your animal toy on with a little twine. 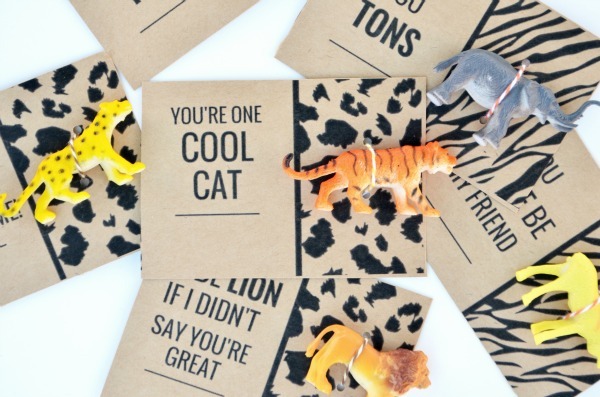 Alternatively you could tie an animal print emery board on for older kids/girls. Does your kid’s class do Valentine card exchanges? Checkout these other posts for more fun Valentine ideas.